With the recent organic and natural products wave, many of us knowingly or unknowingly look at the ingredients list when buying new products. With each, single passing year we can see a new brand emerging with organic and natural products. 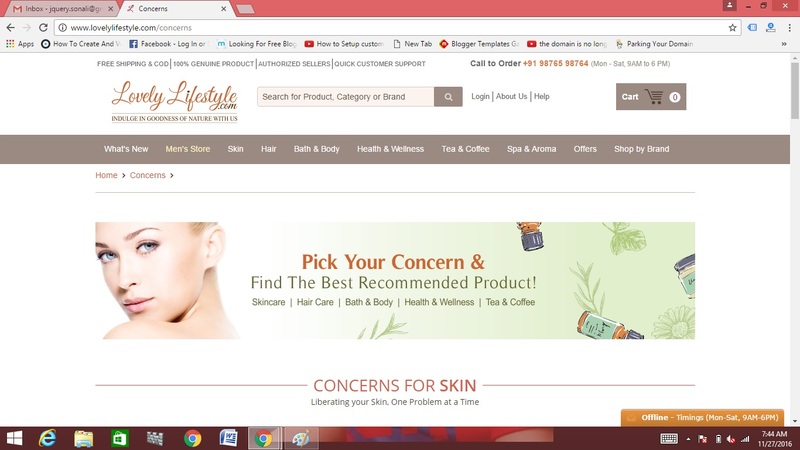 Whenever we buy from a website, there is a mix of 'with chemicals' and 'organic and natural' products. How would you feel if a website is dedicated to just paraben free, organic and natural products? Nice, right, it would ease up as well as speed up the process of shopping, if you are interested in buying such products. Since you don't have to check the ingredients list, see whether they are paraben free, organic, natural and then decide whether to buy or not. Everything sorted out!!!! 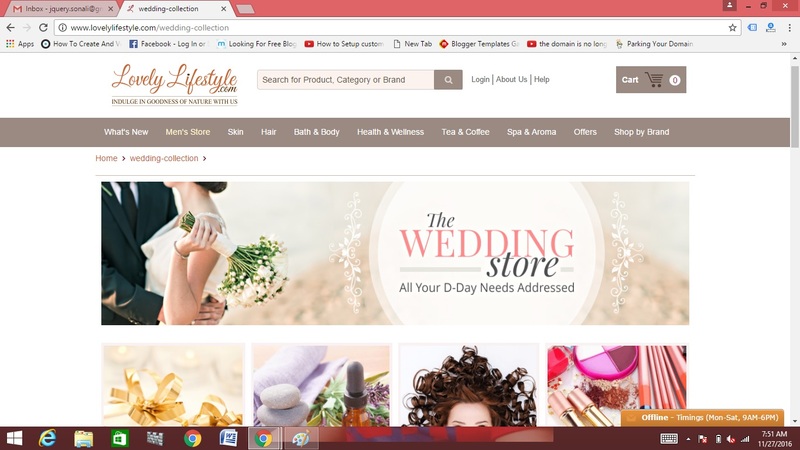 The website we will be talking about is Lovelylifestyle.com Let's head onto the review of website and my shopping experience. The website has neat and clean design, easy to navigate and quite user friendly. The website isn't glamorous or does not have some funky colour scheme. Rather the website has a brown theme which depicts the colour of soil 😊😊😊. 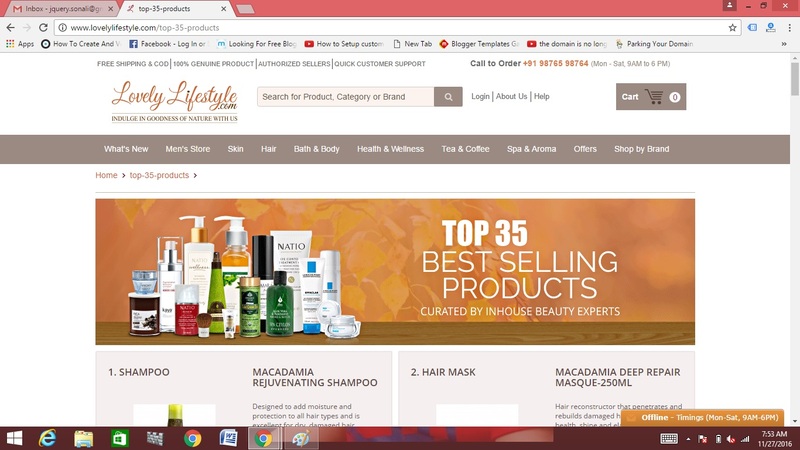 The website has a wide range of products from most of the cruelty free brands, right from our desi Ma Earth Botanicals to Videshi Vichy 😎😎😎. 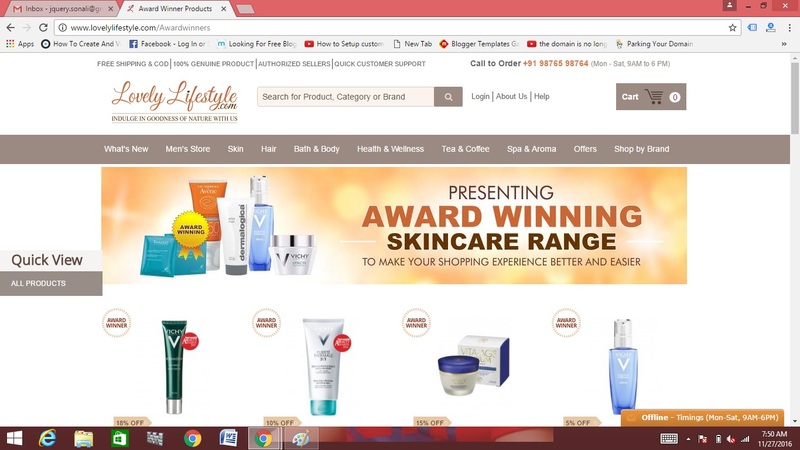 The website also spans a wide range of products' categories right from skincare to home decor. All in all you can shop right for your home till your skincare. 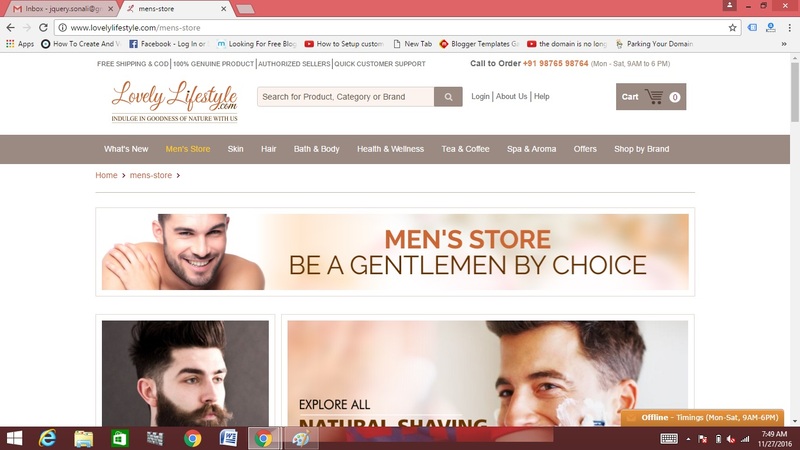 The website not only caters to women's needs but also to men's. The have a men's section also which is a rare thing in online skincare scenes. Lovely Lifestyle is a part of the vast conglomerate, Lovely Group of Punjab, the parent company of ventures like Lovely Professional University (LPU), Lovely Sweets, Lovely Autos, Lovely Bake Studio & many more. The website combines two great needs of the present age- online shopping and Organic living. On the homepage you will see 'What's New?' list. Like wise they have a section dedicated for Shop by Concern, Shop by Ingredients. I have compiled a list of sections with the screenshot of each section below. Now coming to the website efficiency, the website works quite nicely and I didn't face any problems while browsing or going through products. My order was placed on behalf of me so I cannot really comment on the actual payment transactions and all. But they do have flexible payment options and they also accept COD for some products. Many products which I browsed through said 'COD not available'. Below are the payment methods mentioned on the website and you can also check their shipping charges mentioned on the website. Once we register on the website we receive a welcome email on the registered email address. Same is the case with mobile message. I had ordered products from different brands so I received each order separately. No wonder I received email as well as a message at every point of the shipping. After successful delivery of each product I received a message and email. The website is excellent in terms of functionality, design, user friendliness as well as customer services. However one thing bothered me, some products were sold in a pack of two. For example - Raw Rituals eye cream pack was sold in pack of two. It's okay if we have someone to share it with us, but a single pack should also be available if someone wants to really buy the product. If a first timer wants to try out a new brand they would definitely not buy a pack of 2. Other than this I really didn't have any complaints or problems with the website. Also another important thing is the website boasts of both organic and natural products. We have to make a choice whether to buy fully natural or organic brand products. I really want to get rid of my chronic dandruff. So ordered this one. 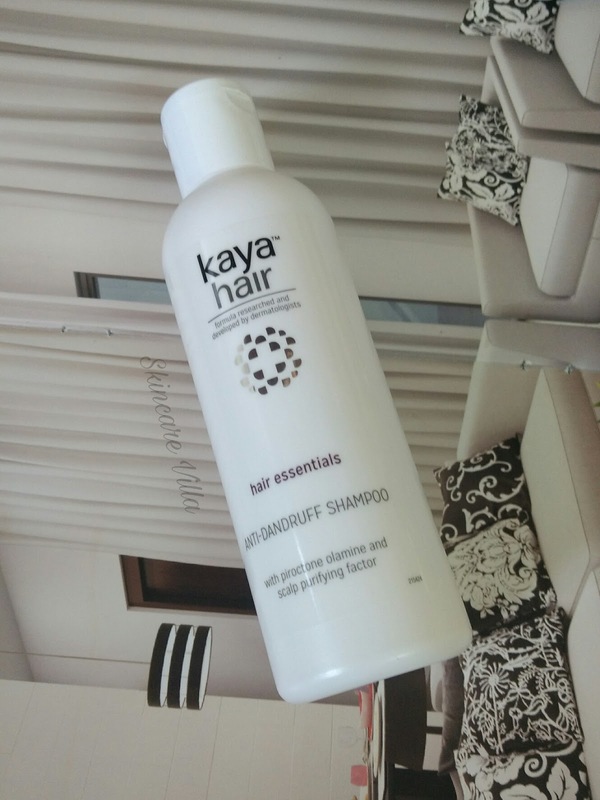 Originally I had ordered for Soul tree antidandruff shampoo, but since the brand recently revamped their packaging it was out of stock and I had to order this one. I never tried this brand so thought of giving it a try. 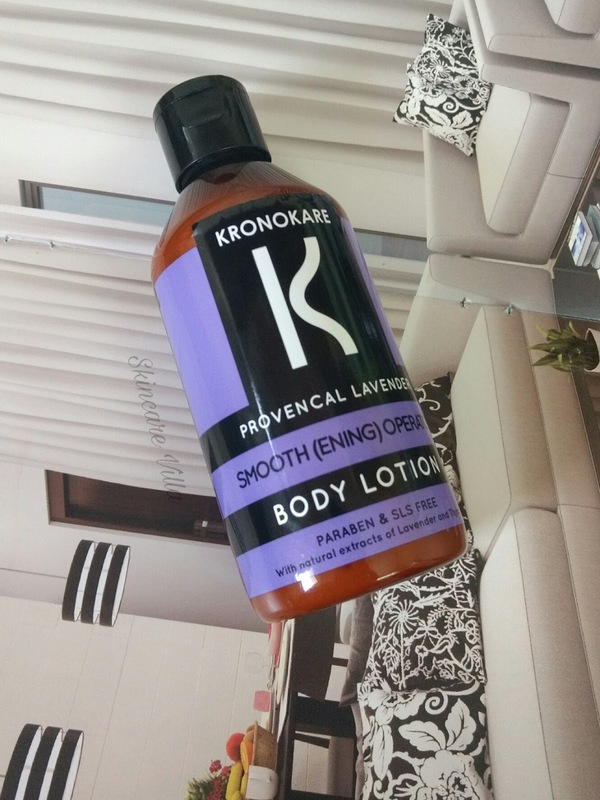 Nonetheless am very impressed with the body lotion. Might explore this brand more. My undying love for face packs made me order this. 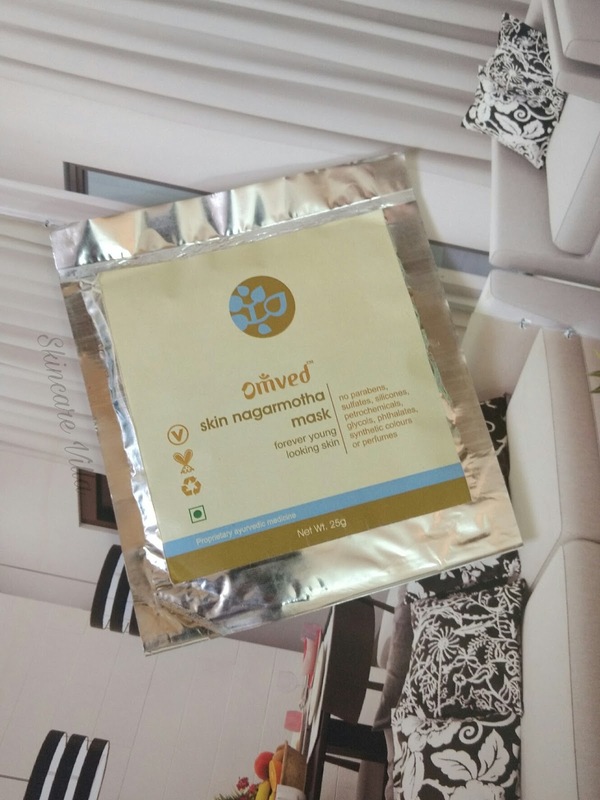 I have tried Omved Facial cleanser earlier and liked it. So thought of giving it a try. My order was packed neatly, as stated earlier each one arrived separately and safely. 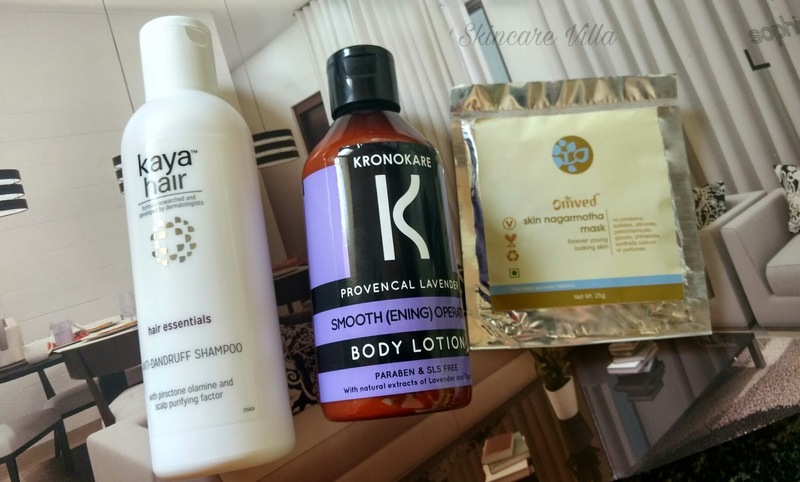 The Kaya shampoo and Kronokare lotion both were bubble wrapped whereas Omved face pack was packed in a box, since it a dry commodity. 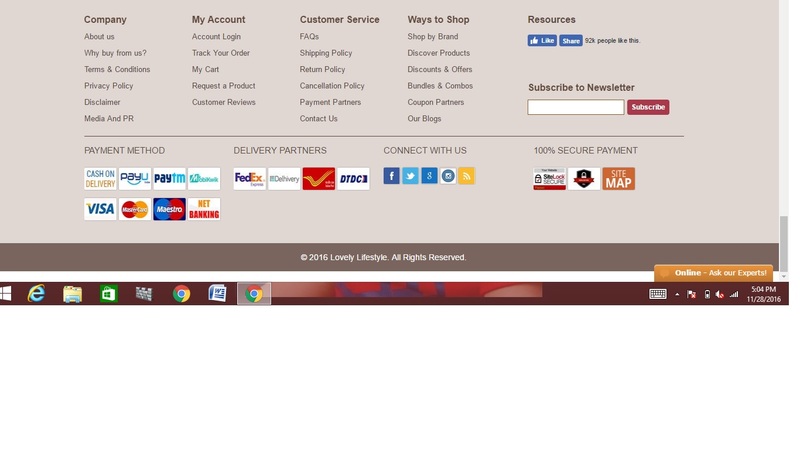 Overall I was happy with my shopping and services provided by Lovelylifestyle.com and am looking forward to buy some of my favourite brands. 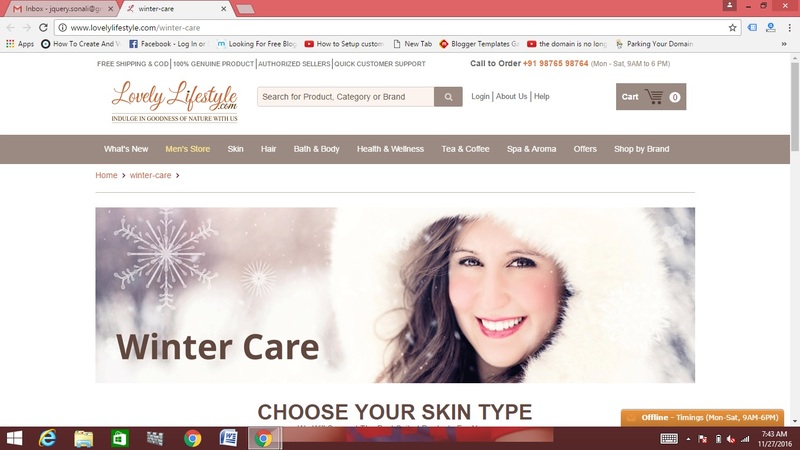 If you are not bothered by the paraben wave then you can treat this website as any other normal website. Leave your comments below and let me know if you have shopped with them or planning to do so. NB - I was offered free shopping in exchange of honest website review. Order was placed on behalf of me.